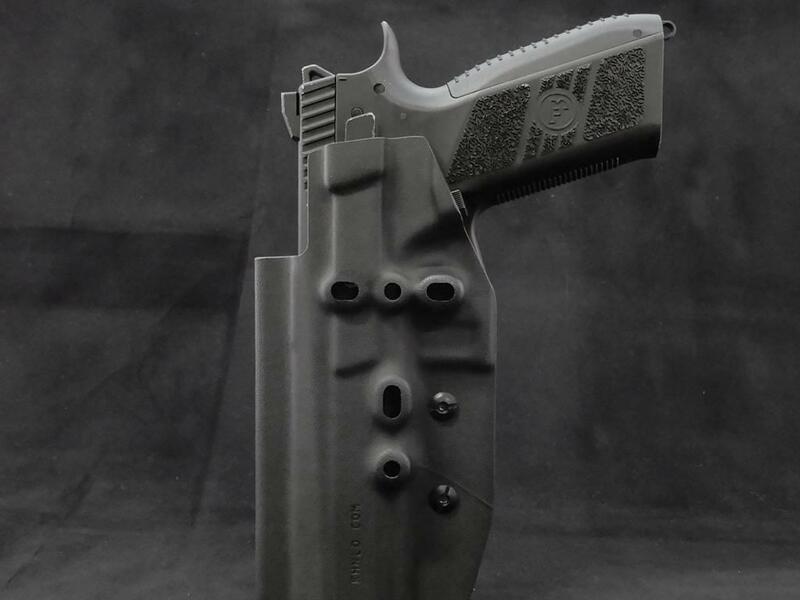 This is our tactical (retention) holster. 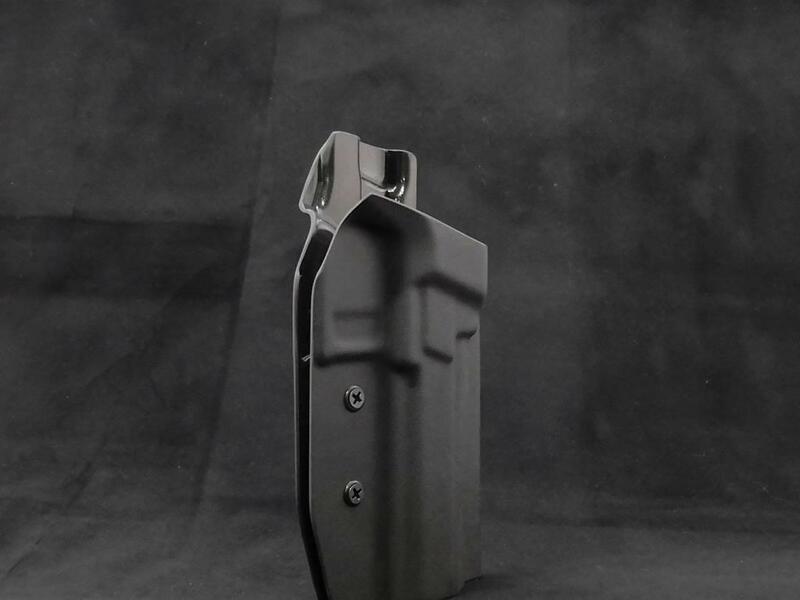 As the name implies; this holster is designed to ride a little lower on the belt line, to clear tactical gear such as Plate carriers, Chest rigs and/or Backpacks. 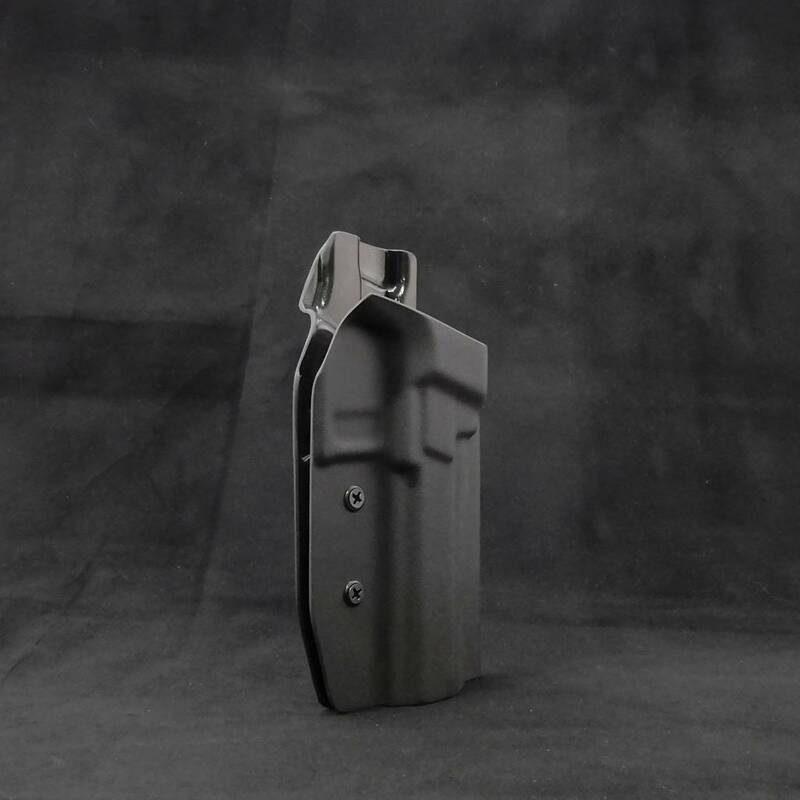 Made out of 2.5mm thick kydex thus makes this a more robust holster for a tactical application. 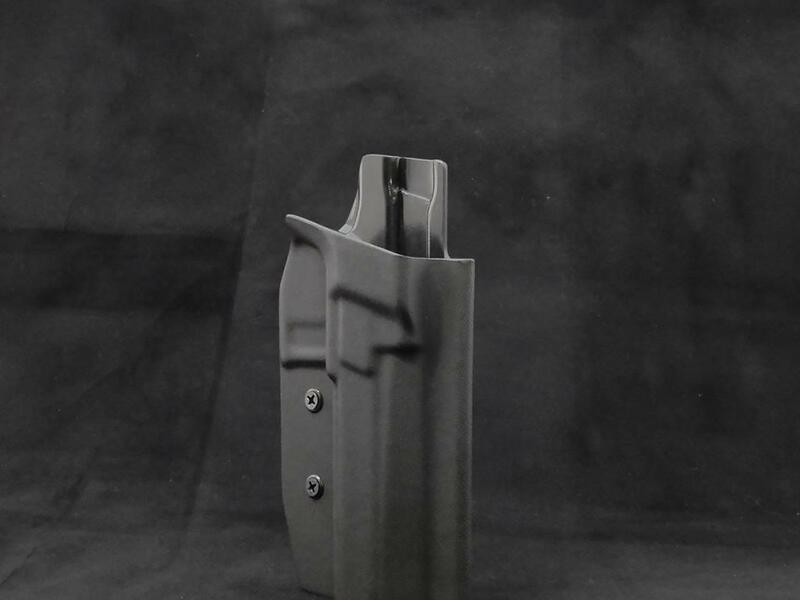 The thicker kydex also gives the holster more retention on the weapon system it is holding, which is still adjustable with the two retention screws, on the outside of the holster. 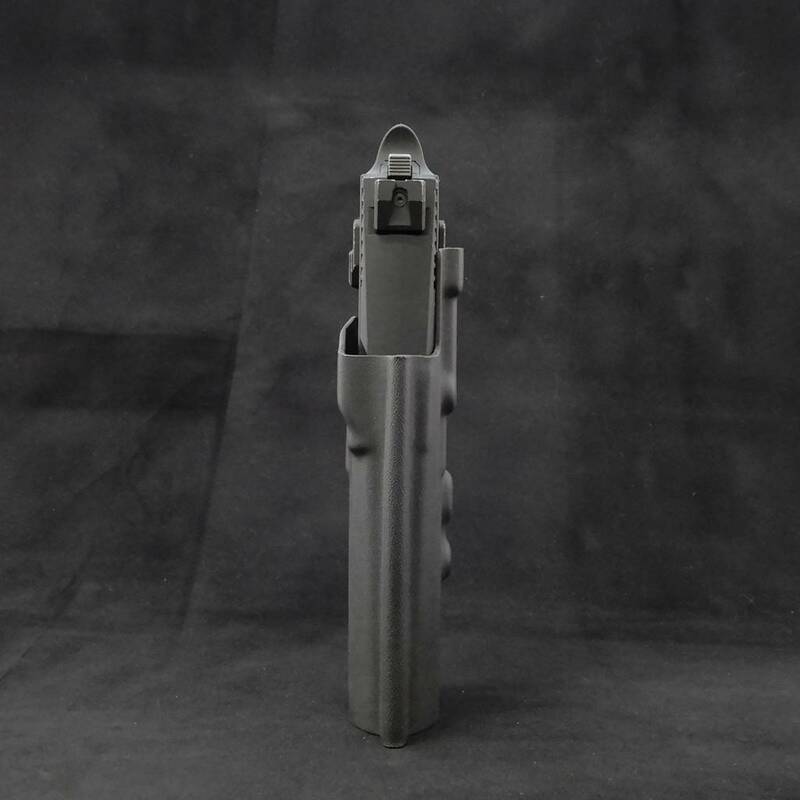 The mounting holes on the back are designed to work with all the Safariland hardware. Such as the UBL and QLS that we offer. 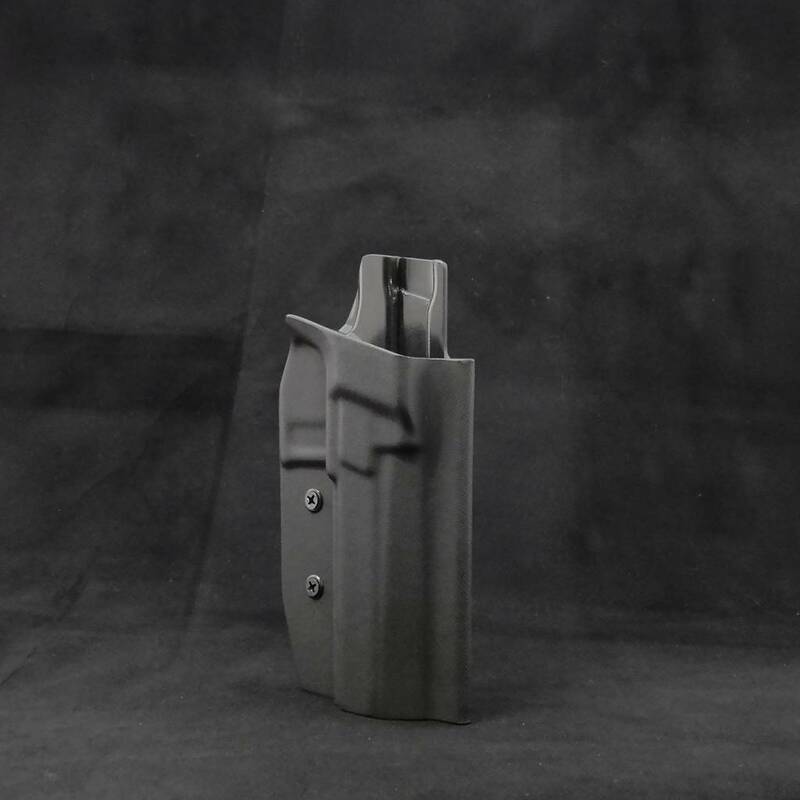 --Our holsters are made of Kydex (made in: USA). 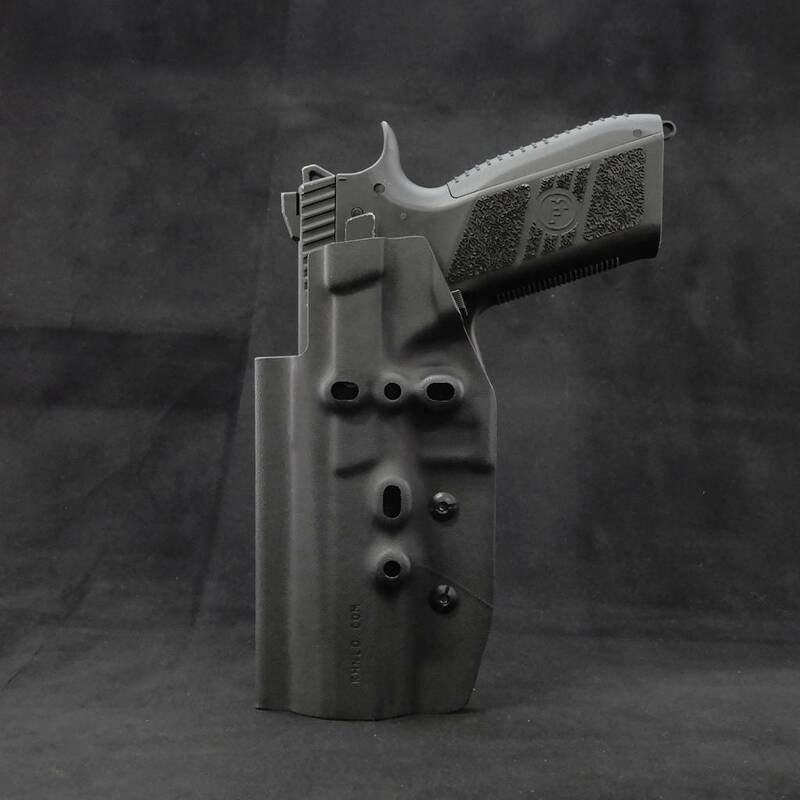 Kydex is a thermoplastic, when we heat this up to the right temperature, we can mold it around your pistol of choice. 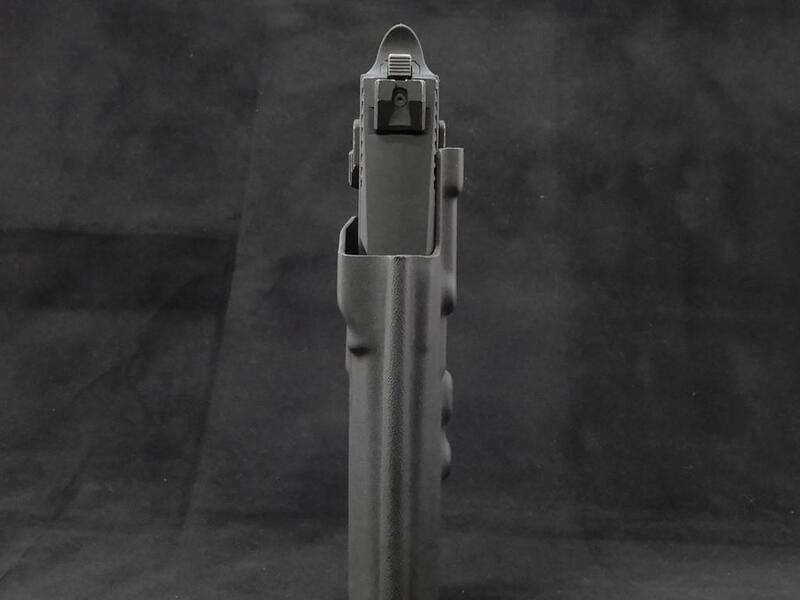 When it cools, it will keep it's new shape, making it fit like a glove around your weapon. 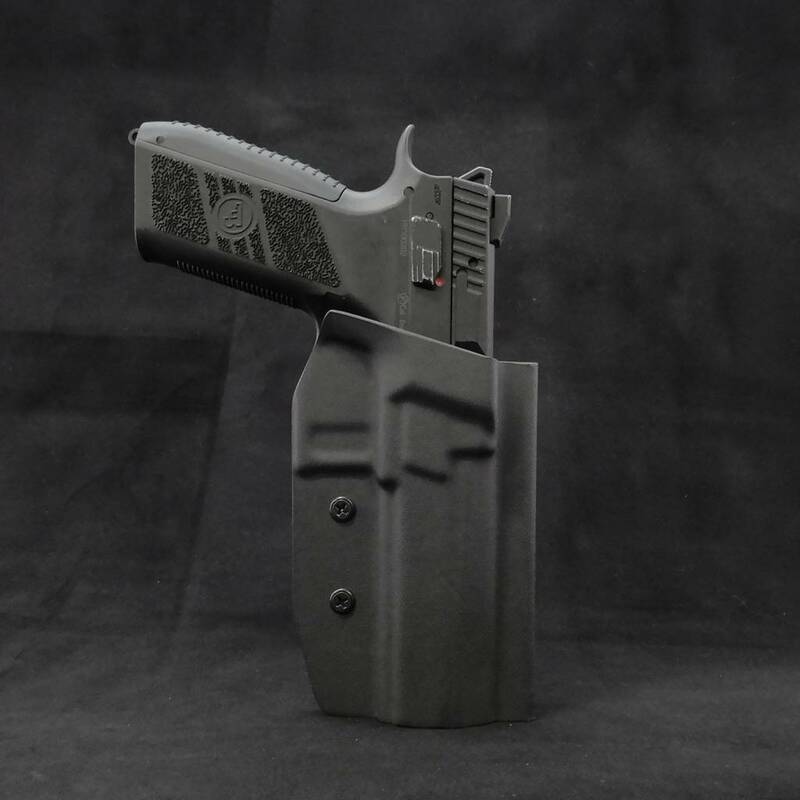 When Kydex is cool, it's hard, which ensures the holster will keep it's shape without the weapon inside. 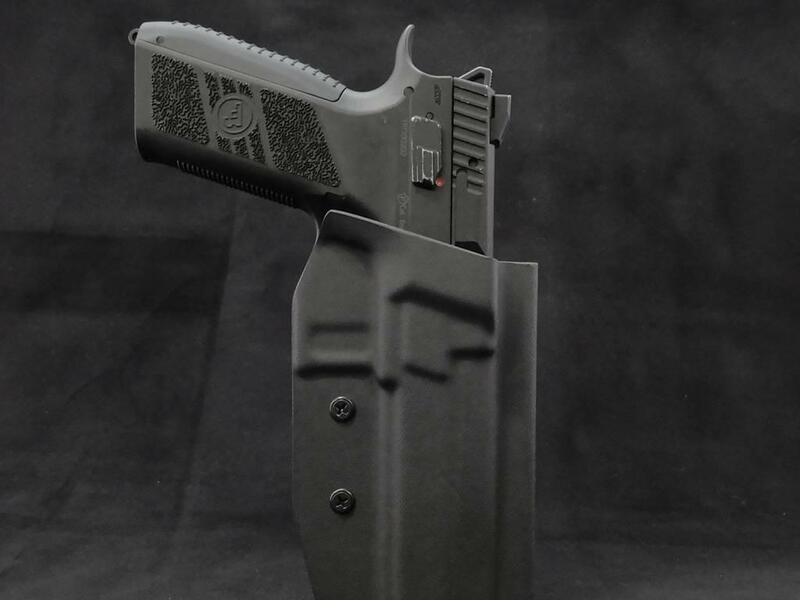 Which will ensure you can re-holster your weapon just as easy as taking it out either in or outside your waistband.